Ranch style home with lake view for sale in the Missouri Ozarks. 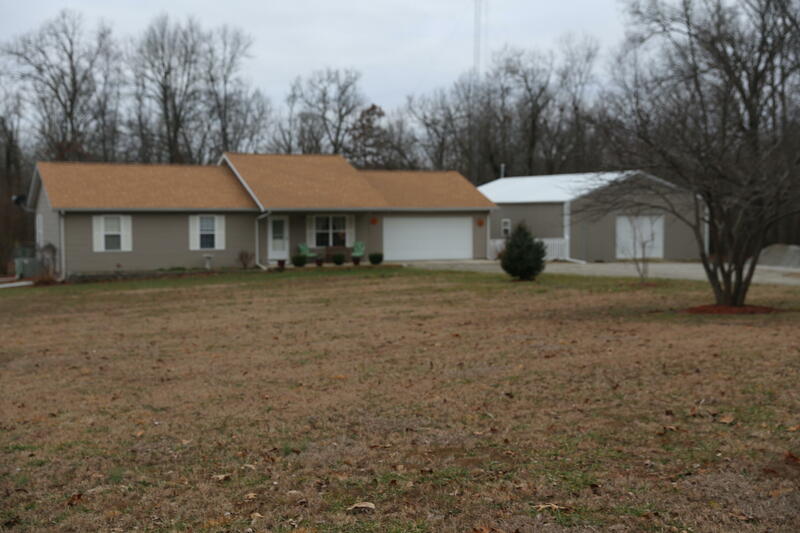 This 3 bedroom 2 bathroom home sits on a beautiful three acres near the town of West Plains. The property is surrounded by chain link fencing, has a new roof, and a storm shelter. Outside, there is also a 30x48 shop with heat, electric, and partial concrete flooring. The kitchen in this home features oak cabinets, a pantry, and a gas range. There is a spacious living room and walk in closet in the master suite. Outside you can enjoy your gorgeous lake view from the large deck attached to the house. This home has many new features and provides privacy with the convince of being close to town.